Healthy Active Lifestyle: Benjamin said these taste like banana bread.... Success! Benjamin said these taste like banana bread.... Success! 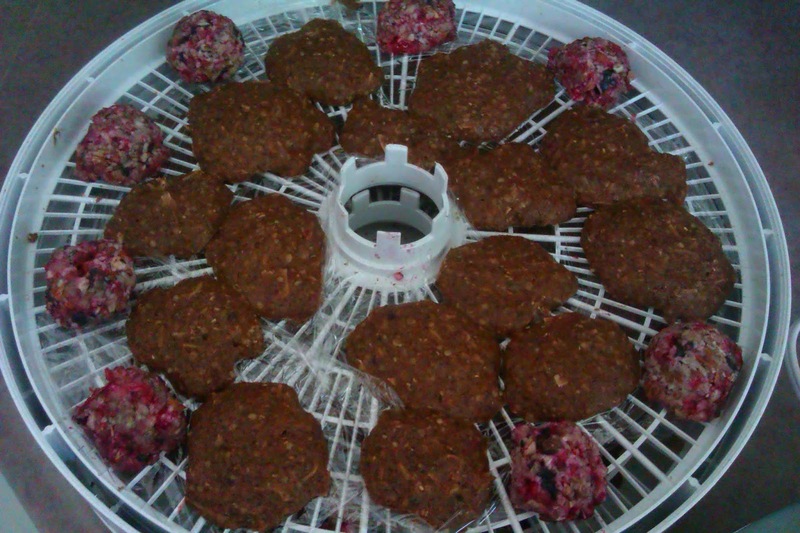 I posted a raw dehydrated banana pattie type recipe before, it was ok. It was very healthy with bee pollen and maca but not like good old fashioned baked banana bread! These banana carob soft cookies are getting closer to the real thing. I'm limiting my sugar intake, I'll describe what I did but feel free to add a touch of agave, honey or a couple more dates. If my 11 year old step son Benjamin likes them, to me, it's a winner recipe since he hasn't enjoyed my other dehydrated deserts. 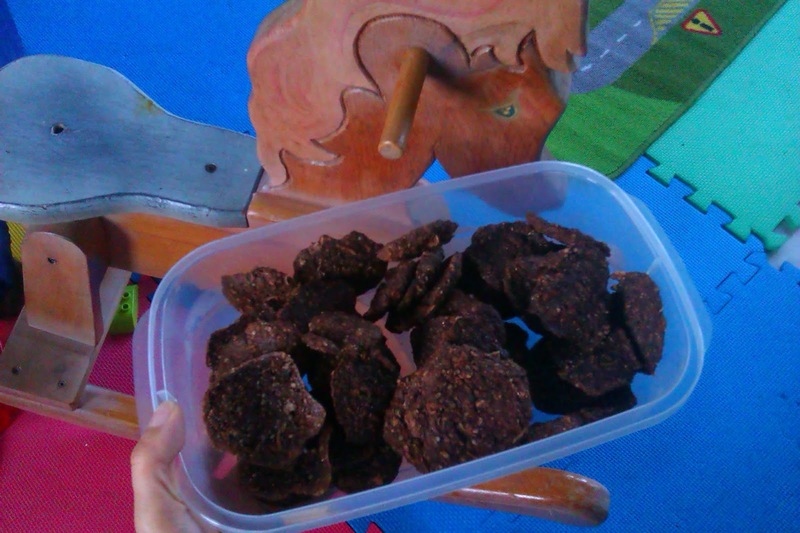 these cookies don't contain nuts so they are safe for the school lunchbox. Begin with stirring the water into the milled flax. Set that aside. 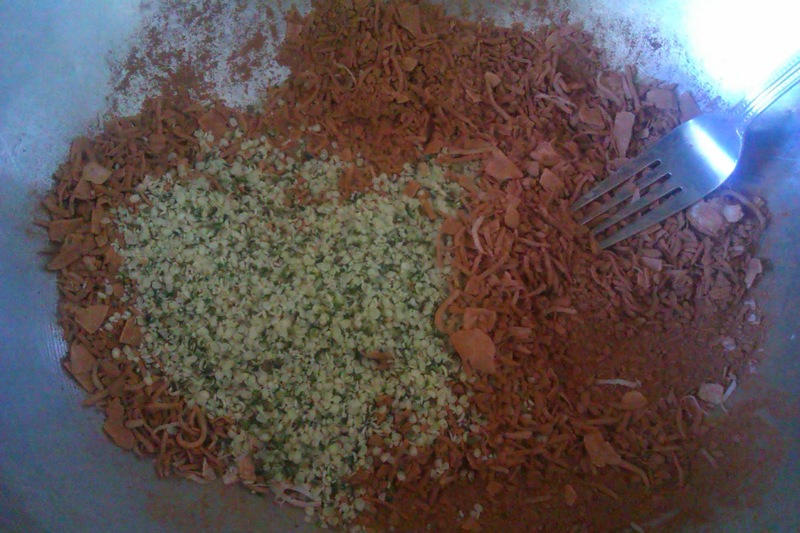 Mix together the dry ingredients, except the chia seeds. I had purchased this bag of bananas for $1 at the grocery store. As soon as I arrived home, they went in the freezer. that was a couple of weeks ago. 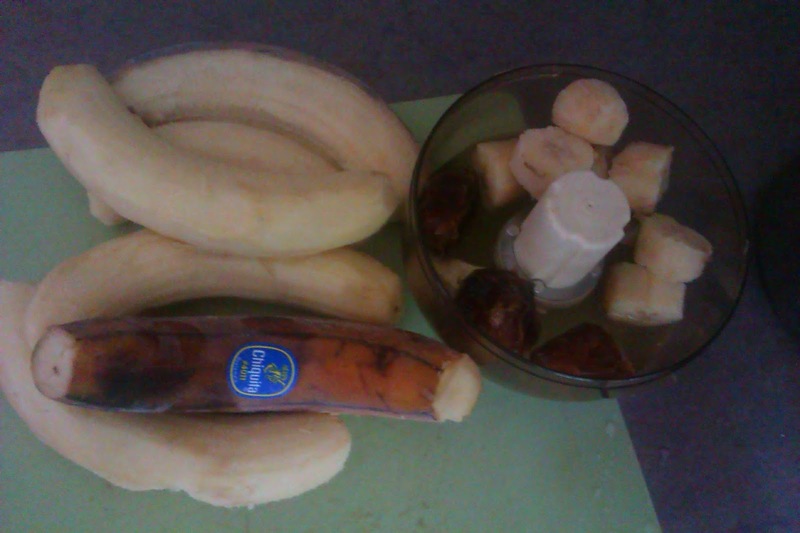 Blend together banana pieces, dates and soaking water. 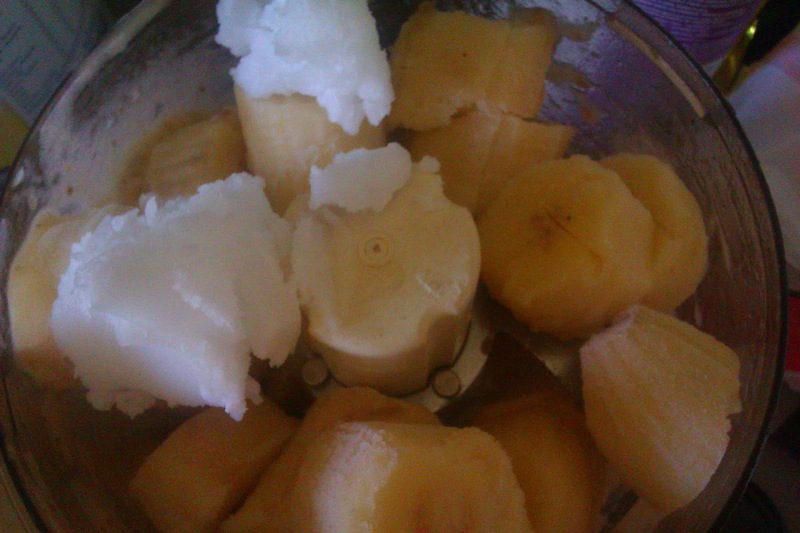 Blend the rest of the banana pieces with a chunk of coconut butter/oil. 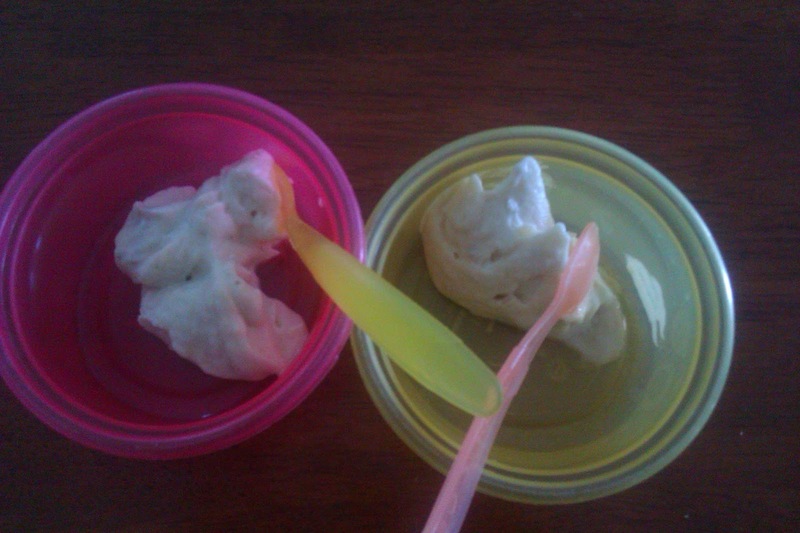 The blended frozen banana is nice alternative to ice cream. My toddlers loved it! I liked it more with dates in it! 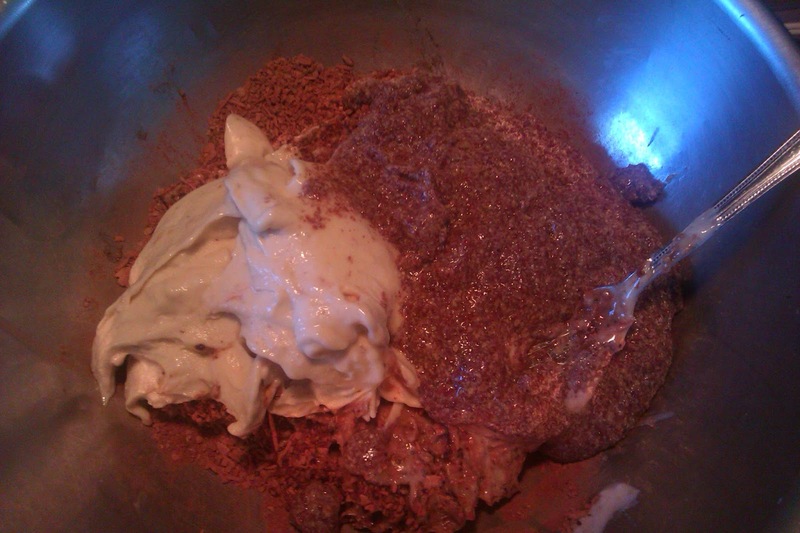 Once the banana mixture is incorporated to the dry ingredients, add the flax. The dough will be quite soft/liquid. 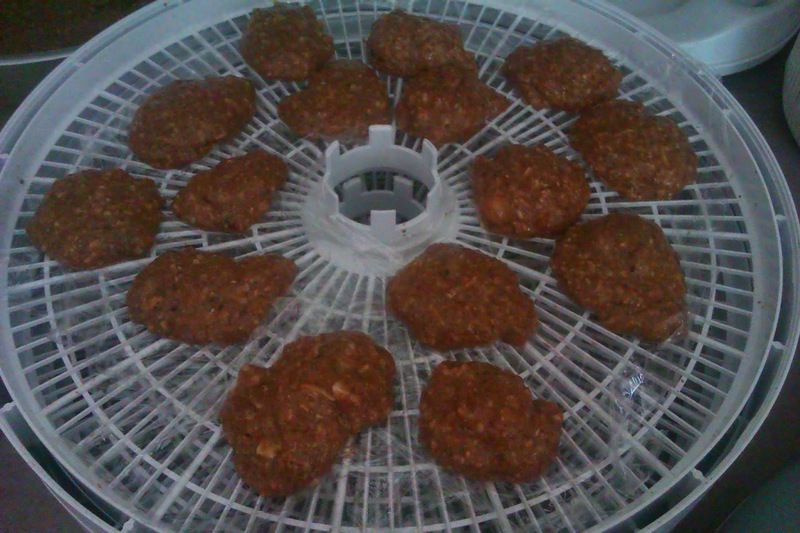 Add chia seeds, fold them in and let stand about 5 minutes. Mix thoroughly and determine if this is a texture you can spoon drop onto your lined dehydrator trays, if it is too liquid, add more chia seeds and repeat the waiting and mixing steps. While you wait, check out the site linked below! I just learned that Chia is being studied as a potential natural treatment for type-2 diabetes because of its ability to slow down digestion. The gelatinous coating chia seeds develops when exposed to liquids-can also prevent blood sugar spikes. 9 more beautiful benefits of chia seeds are listed here. My dehydrator tray is lined with cling wrap. I don't use this material often because of it's short life cycle but this was my remedy to only having one silicone tray. Dehydrate for 20 to 24 hours, turning them over and removing the plastic liner once they have become hard enough. Store in an airtight container in the fridge. I made berry balls at the same time. 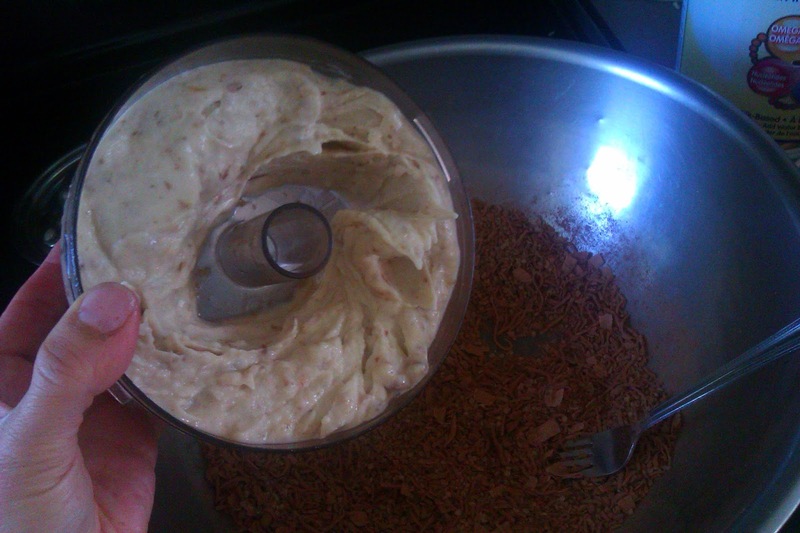 This was a batch of 60 cookies. Less are photographed because... well, I'm sure you can guess why!